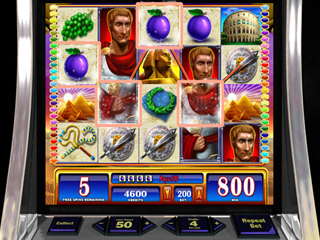 Rome & Egypt is here straight from the casino to make you as rich as Cleopatra or Caesar! 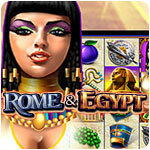 Rome & Egypt is here straight from the casino to make you as rich as Cleopatra or Caesar! 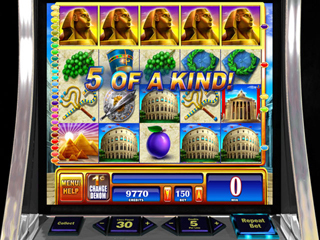 With the free spin bonus round will double your wins and you'll be living as lavishly as a true Vegas Kingpin in no time!